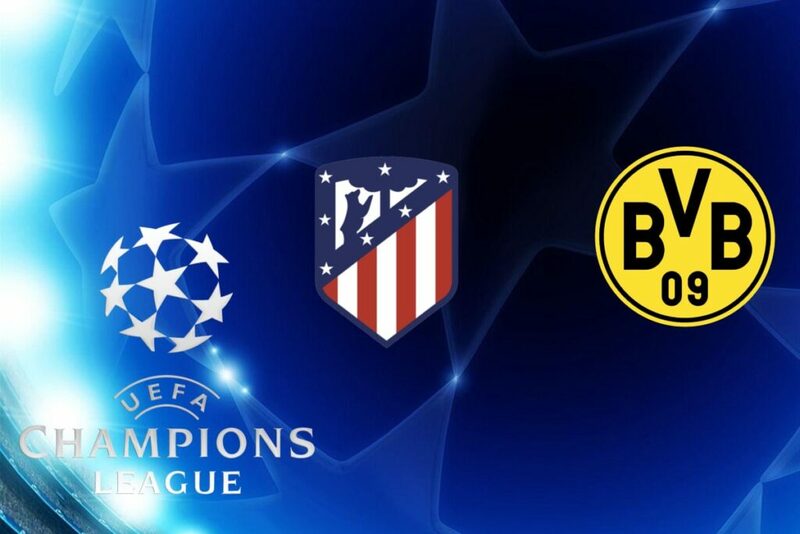 Diego Simeone’s Atletico Madrid is called to the double team in the fourth day of Group A of Champions League: to score the first goal in this edition of the tournament at Borussia Dortmund and, consequently, to win the race to catch the Lucien Favre team at the top in the group. The Colchoneros are called to redeem the sound defeat for 4-0 cashed two weeks ago at the Signal Iduna Park and arrive at this event after drawing 1-1 for the home of Leganes on the last day of the field with a network of Antoine Griezmann. The Dortumnd, still leading the Bundesliga, instead won at the Wolfsburg home for 0-1 thanks to the goal signed by Marco Reus. Atletico Madrid with doubts Godin, Koke and Diego Costa. Borussia without the injured Piszczek, Schmelzer and Goetze, and with doubts Diallo and Toljan. Borussia Dormund won the first 3 games of the group scoring a total of 9 goals and subtracting 0. Borussia Dortmund always scored in the last 12 official matches between league and cups. There are 3 Over 2.5 registered in the last 3 matches of Atletico Madrid in the Champions League. There are 7 Under 2.5 registered in the last 10 matches of Atletico Madrid between league and cups. The Borussia Dormund plays well and has not yet taken a goal in this edition of the Champions League, but we want to give confidence to Atletico that on the “ground” friend will have an extra chance to grab the gialloneri. Good share for sign 1!